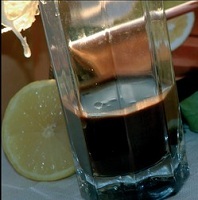 The limoncello chocolate liqueur is a homemade traditional blend, made only with natural ingredients. 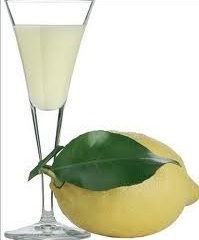 Over the last 30 years production has spread all over the Neapolitan area and especially in the Sorrento peninsula, hometown to the glorious original Limoncello. Being a more wintertime and warming variation, the liqueur is obtained through the blend of powdered cocoa, pure 90° alcohol and obviously traditional Limoncello. Widespread through the whole region, it’s still produced only for domestic use, but it can be found in shops, because it’s produced by some local factories. It is very valued for its distinctive taste and digestive quality. Fragolino is also known as “rosolio di fragole”. It is an ancient specialty, widespread in Campania. It’s a dark, red, tasty and sweet liqueur, with an average alcoholic strength of 35°. 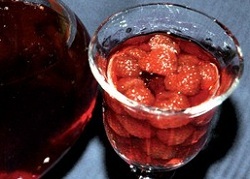 It’s prepared by brewing small wild strawberries in alcohol for 2 to 10 days. After marinating, it’s filtered and diluted with syrup mad e of sugar, which is already prepared beforehand. It is then left to rest or can be consumed immediately. 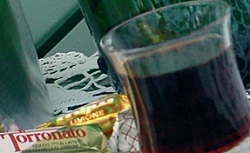 The “Liquore al Tartufo nero”, originated in Bagnoli Irpino at least 30 years ago, is a typical product of the truffles area of Alta Valle of the Calore river, close to Avellino. Called liquore ‘r tartufu in dialect, it is extracted from the precious truffle from Bagnoli Irpino, which is its main ingredient. The “rosolio” is made by marinating the dark truffles in 90° alcohol for nearly a month and by later adding a sugar solution. The 38-40° gradation tartufo liqueur is light brown in colour, with a very strong and aromatic flavour. This rosolio called “concerto” is a very ancient recipe, invented by the monks from San Francesco di Tramonti’s monastery, from which it spread to all the Amalfitana coast, in the Salerno district. The name comes from the “concert” of 15 herbs and spices necessary for its preparation. The herbs are left to marinate for forty days in alcohol, the brew is then filtered and mixed with a syrup made of water, toasted and grounded barley and coffee, sugar and eventually lemon and orange peel. Then it’s left to boil until it reaches the right consistency. After being bottled, it must be left to rest for at least two months. The gradation is around 30°. The Liquore of concerto is made with liquorice, finocchietto, cloves, nutmeg, cinnamon, stella alpina and peppermint but the exact doses and combinations are jealously guarded in local pharmacies, in Tramonti and Maiori where you can buy the basic dose for the blend. Concerto is also sold in little artisan laboratories along the Amalfitana coast. 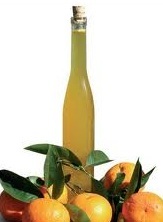 Cremoncello is a specialty of the Amalfitana coast, in Salerno’s district. It’s a clear milky, white, thick, creamy blend with a 30° gradation. Mostly prepared at home, but some small artisan companies prepare it and sell it following the original recipe. 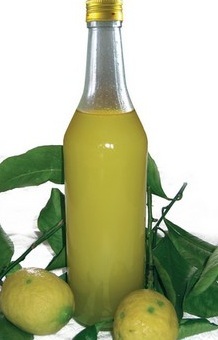 Preparation is similar to traditional limoncello: lemon peel is left to marinate in alcohol and then mixed with syrup made of water and sugar, in quantities according to taste. Then boiled milk and sugar are added and it’s left to cool. Sweet cream, not whipped, is added with vanilla and set in the freezer for two months before consumption. The liquore di amarena, “liquore ‘r foglie r’amarena” in dialect, is a specialty from the inner parts of the Region where the cultivation of amarene (sour cherries) was very active until a few years ago. It’s a light hazel colourd blend, which has a 30° gradation and a very sweet taste. We know of two variations: one uses as the main ingredient the amarene leaves, the other the nuts. Following the recipe, 100 amarene leaves are left to marinate in a litre of white wine for 15-20 days until alcohol and a sugary water solution are added to make it reach a 30° gradation. In the other version the nuts are carefully cleaned and left to marinate for 15-20 days in 90° alcohol. The syrup that has been prepared apart is then added. The origins of amarene rosolio are very old but production is diminished since amarene aren’t cultivated as much as they used to be. Chestnut trees characterize the territory of Irpinia due to the happy interaction between weather and soil. Even more so in the production area of “Castagna di Montella – IGP”, where you can taste the delicious fruit and excellent chestnut liqueur. Traces of the cultivation in this area are very ancient, for some the chestnut cutivation, originated in the middle east, started in Irpinia around the 6th and 5th century before Christ; there is proof of laws to protect the precious cultivation done by the Longobardi in the 6th or 7th century. Especially precious in the middle ages when flour was made out of chestnuts and could be kept longer during a siege. Since those times, the history of Montella and the chestnut, with all its uses, have never been separated. Montella’s chestnut, with its thin light brown peel and sweet white pulp is the principal ingredient for many recipes. 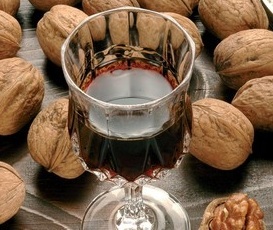 In the last 30 years, the whole chestnut area around Avellino, and more precisely Bagnoli Irpino, Cassano Irpino, Montella produce the liquore di castagne di Montella called liquore ‘r castagne. This blend is made marinating boiled and grounded chestnuts in alcohol for 48 hours. Then milk, sugar and cocoa are added until a very dense liqueur is ready. The colour is light brown with a middle high gradation around 40° - 50°. One of the most ancient blend recipes is the liquore di gelse rosse, ‘r ceveze ross’, which is produced in the most interior parts of the region, particularly around Avellino since the 17° century. Mulberry cultivation is tied to silk production, since the leaves are the main norishment for silkworms. Liquore di limone - Sorrento coastline, the island of Capri and the Amalfitana coast, which are Campania’s jewels, abound in the terrace cultivations of lemons which make the scenery even more colourful, and since the 19th century, there is proof of the tradition of offering the blend made out lemon known as limoncello to visitors and nobles that passed by the coast. In Capri, Sorrento and Amalfi, there are many legends and stories on the origin of this liqueur; some say the limoncello is as ancient as lemon cultivation itself. Others say that it was used by fishermen and farmers to fight off the cold of the morning. Some others say that the recipe was originated in a monastery. We’ll probably never know the truth but what is certain is that today limoncello is an international success, which is exported by many companies that follow the original recipe using only lemons from Capri, Sorrento or the Amalfitana coast. Peel from lemons, picked no more than 48 hours before, are cut by hand and left to marinate in a solution of alcohol, water and sugar. The jugs are well covered and kept at room temperature so that the blend can marinate and gain the lemon taste and yellow colour. After resting for a month, the preparation continues by adding a pan of boiled water and sugar and then by leaving it to cool with some more alcohol. After 40 more days of resting, the infusion is filtered and bottled. Limoncello is stored in the freezer and is an excellent digestive, at the end of meals it’s become a social ritual as much as coffe. Liquore di Mirtillo - Mirtos grow wild in the mountains known as the “Peninsula Amalfitana”, near Salerno. These berries are the liquore di mirtillo’s main ingredient, a dark purple blend, with a 30° gradation. A handful of black currents is left to marinate for 20 days. A syrup is prepared boiling water and sugar separately and is added cold to the marinated berries, which have been mashed with a fork. The traditional recipe, which still used at home by housewives, is also used by artisan laboratories that sell it. Liquore finocchietto (wild fennel) is produced in Salerno’s district and all the inner parts of the region. 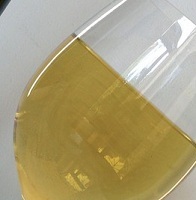 The liqueur has a light yellow colour and a 30° gradation. It’s mostly appreciated for its digestive effect, so much so that is not only made in the home, but it has been commercialized by local artisan laboratories that sell it in many different shaped bottles. 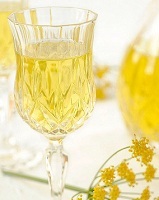 It’s made by marinating wild fennel seeds in alcohol for 15 – 20 days and added to a syrup made of water and sugar. It doesn’t need to rest, but can be bottled and consumed immediately, preferably cold. Liquore Nanassino - The coastline around Salerno, especially the Costiera Amalfitana and Cilento, is abundant with prickly pears that grow wild on hills and rock slopes between the rock walls of the terraced mountains. In the fifties and sixties the prickly pears were picked by local kids and sold to tourists or people from nearby towns to earn some money. In the wealthy families, prickly pears were used to produce Nanassino, a ratafià liqueur, which was offered on special occasions and during the festivities. Still today the production, exclusively homemade, follows the ancient recipe. 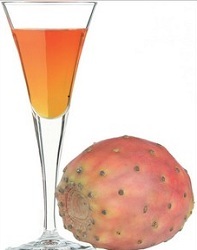 Around the end of August peels from about ten ripe prickly pears are infused in 95° alcohol for 10 - 15 days. After resting scrupulously in the dark, the infusion is filtered and diluted with the same quantity of syrup made of water and 400 g of cane sugar, but it can vary according to taste. 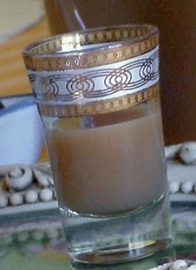 The liqueur obtained is more or less light yellow in colour, according to the type of fruit used and must be served cold. Nocillo or nocino is an ancient blend, dark in colour and with a very high gradation of about 40°. It has a very digestive quality and a bitter flavour. Its origins are lost in time and the preparation is precise and almost ritual. Green Nuts are the main ingredient and have to be picked and cut on the 23 of June, the day before the celebration of San Giovanni. On this day the nuts are in their most “balsamic” period, because the kernel protected by the green hull and the soft shell doesn’t have any drops of water inside and is rich in essential oils. The nuts, including the hull, are left to marinate in alcohol for 30 – 40 days in closed glass bottles left in the sun that need to be shaken now and then. After marinating, the blend is filtered and diluted at cold temperature with a syrup made of sterilized water, sugar, cloves and cinnamon aromas. Then it’s left to rest for at least 2 months before consumption. Nocillo originally comes from the inner parts of the region like Irpinia and Sannio, in mountain areas where the nut trees grow and today it is even produced in many artisan workshops of all Campania. Sciroppo arancia bionda - Near Salerno and especially in Agro Sarnese Nocerino, yellow orange cultivation is very popular and a very tasty orange juice is made. In the last decade an orange syrup has been produced so that the drink may be tasted even nwhen the oranges are out of season. Filtered orange juice is boiled and then sugar is added. This product made in Sant’Egidio Montalbino, is diluted with water and is mainly drunk in the home but can also be found at local stores. Sidro di mela limoncella - Cider is a low gradation drink made from apple fermentation; it was invented in the Middle Ages and its production was developed in Northern Europe, especially in some French regions. Cider is apple wine. At the beginning of the 19th century, the poor economical situation in the Sannio region pushed the local farmers to use “lemoncelle” and “annurche” apples to produce it, since grape wine was a delicate process and scarce in the area. 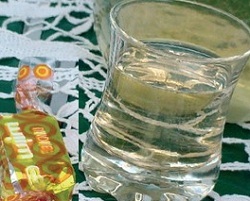 Since then the sidro di mela limoncella del Sannio was perfected and spread according to the traditional recipe. The production stages are similar to the ones of wine: after harvest apples are squashed and ground, fermented and filtered in bottles. Cider has a sweet fruity taste and around 8 degrees of alcohol, it doesn’t improve with age and has to be consumed in the same year of production.